For years saxophonists around the world have enjoyed the benefits of RooPads™. The Kangaroo leather for these pads is meticulously inspected, cut and hand selected by us here at MusicMedic.com. Only the finest portions of the skin are used. The final results are of superior quality to any other woodwind pad on the market. This pad is constructed to be flat and consistent while offering some forgiveness where the tone hole is concerned. This amazing result is obtained by the entire pad from the bottom up. First, we use a very firm chipboard backing that holds the pad felt level and true. We then stack on our deep-weave™ pressed felt and glue it to the cardboard backing, this holds the felt in place and keeps all parts of the pad flat. For air and water tightness, we wrap the pad in a layer of bladder skin much like our standard clarinet pads. Around this firm and consistent base, we wrap a very thin layer of our famous MusicMedic.com RooPad leather. Because our Kangaroo leather is so strong, it can be cut very thin for a tight and square fit. 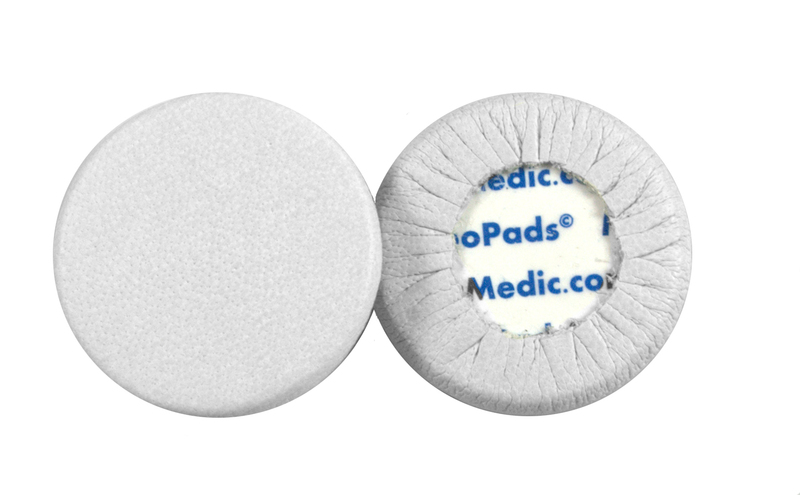 This rigorous process has allowed us to produce a pad worthy of the name RooPads.